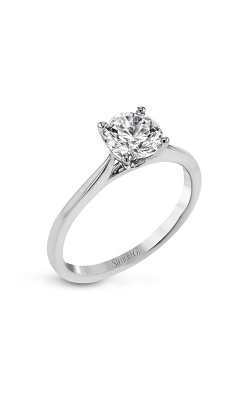 The solitaire is by far the most popular type of engagement ring. 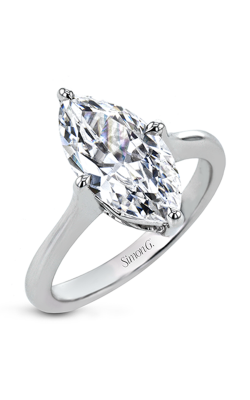 This style is characterized by a singular diamond or precious gemstone set in the center of the ring. 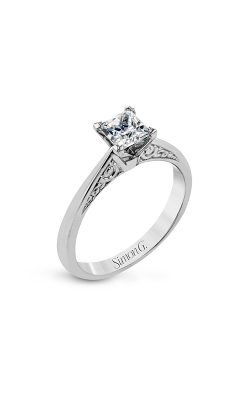 Symbolically, a solitaire represents two becoming one in marriage. 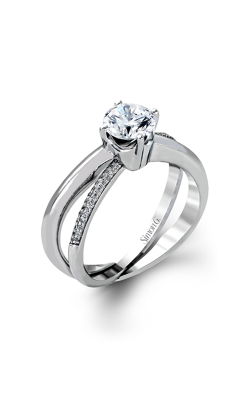 There is much variability in solitaire rings, so they are suitable for many different personal styles and budgets. Both large and modest carat weights can be beautiful, and white gold can reduce the cost if substituted for platinum. 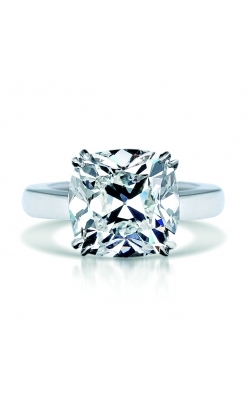 If durability is a concern, brides may choose platinum over gold. Platinum also lends the modern shine that is on trend today. 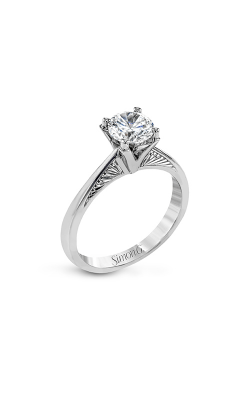 Southern California designer Tacori creates exquisite, conflict-free bridal jewelry. Each piece features a pattern of interlocking half-moons, Tacori's signature crescent silhouette. Collections like the Classic, Petite, and Sculpted Crescents specifically highlight this signature design element. 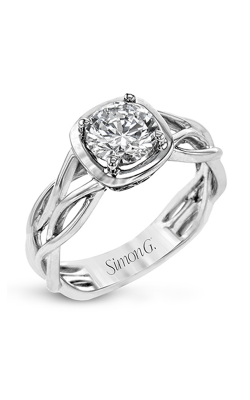 Simply Tacori is the modern collection. Simple solitaires, some of them turned horizontally for added interest, sit on uncomplicated bands. 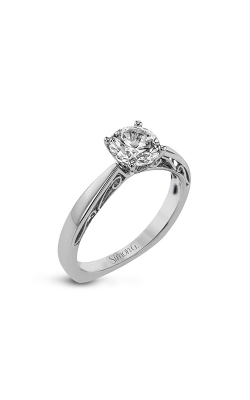 The settings in the regal RoyalT collection are designed for solitaire diamonds 2 carats or larger, and they are available exclusively in platinum. The opulent rings offer large visual impact, intricate detailing, and heirloom flair. 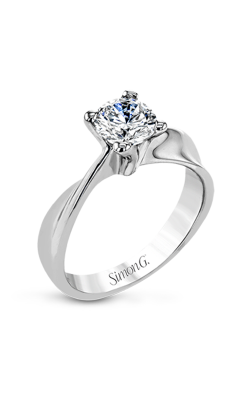 Popular for stunning designs and precise attention to fine details, designer Simon G handcrafts both fashion and bridal jewelry. 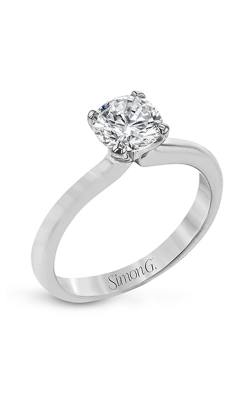 The brand sets each conflict-free diamond with four prongs, never glue or only two prongs, to keep the stone firmly protected in the setting. Solitaire rings of the Delicate collection have diamonds set high above dainty bands for attention-grabbing light reflection. The Modern Enchantment line features sleek yet feminine elements for the contemporary queen. Vintage but not dated, the Vintage Explorer collection serves Old World charm with ornate details along the band. 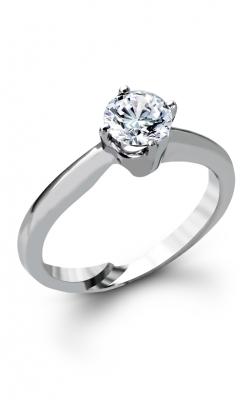 Why Shop for Solitaire Engagement Rings at Merry Richards Jewelers? Merry Richards Jewelers is a family-owned and operated jewelry store in Oakbrook Terrace, IL. 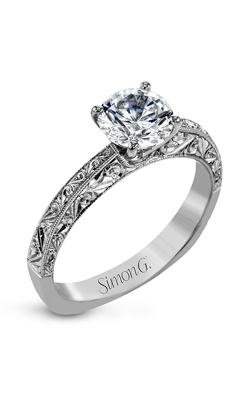 We offer the finest fashion and bridal collections as well as expert jewelry services. 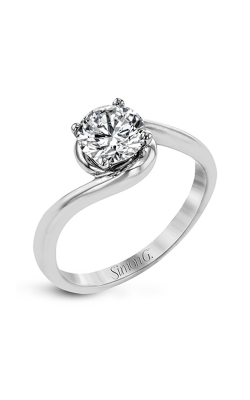 Since 1985, we have provided the Hinsdale, Evanston, and Northbrook areas with diamonds personally selected by our founders from major cutting centers all across the globe. In addition to designer and custom wedding jewelry, we sell loose diamonds, luxury timepieces, and fine fashion jewelry. For inquiries regarding our products, services, events, or hours, please visit our website or call us at (650) 516-8000.